There is a new superhero coming to “Legends of Tomorrow”! Maisie Richardson-Sellers will play Amaya Jiwe aka Vixen when the show returns in the fall. 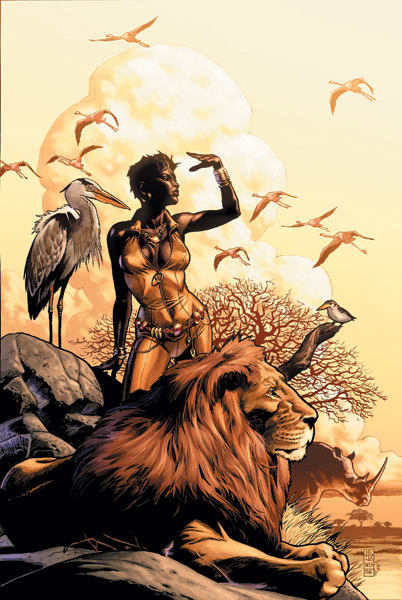 Amaya’s powers allow her to magically access the abilities of animals and are derived from the mysterious Tantu Totem. She will join fellow Legends on the Waverider including Rip Hunter, Ray Palmer, Martin Stein, Sara Lance, Jefferson Jackson, and Mick Rory. “DC’s Legends of Tomorrow” premieres on October 13 at 8 p.m. on The CW. Lynda Carter Cast as President of the United States in 'Supergirl'!